The Dead Sea is the lowest point on Earth. No animal life can survive here, although the water is said to have many minerals that are great for humans. At the Dead Sea you can take a mud bath, or get a massage with the mud, it will make you feel like a new person. 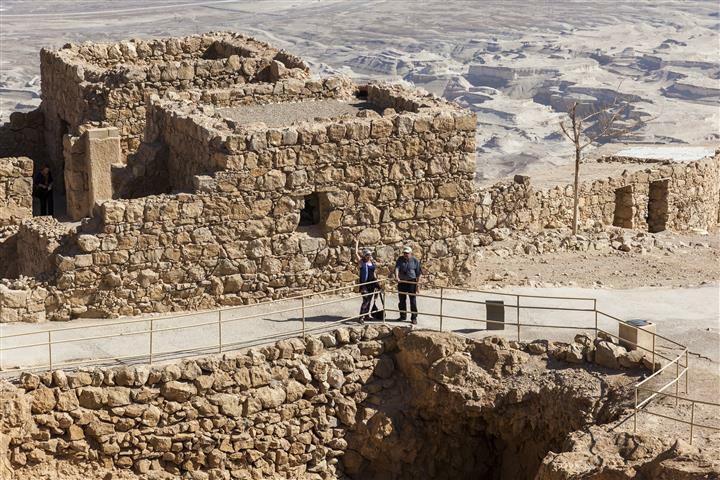 Masada is an old fortress that was built on the top of a plateau in the middle of the desert. You can go up in a cable car or if you are fit walk up the side pathway. Herod the Great built palaces for himself here on Masada. There are Roman barracks, bath houses, water cisterns, a synagogue, and a storehouse. Tour leaves Sunday, Monday, and Tuesdays. Pick up from your hotel in Tel Aviv at 07:05 or Jerusalem at 8:20. 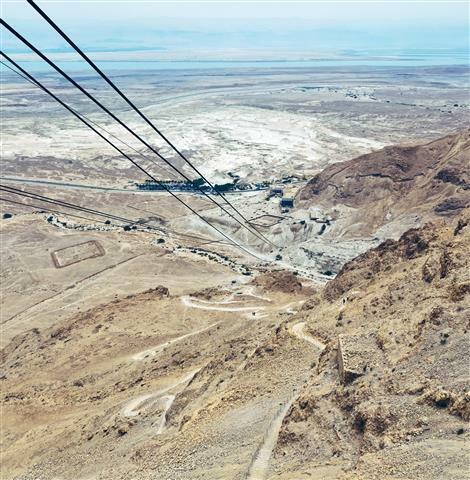 Ascend Masada by cable car to tour the 2000 year old fortress where the Jewish Zealots were overcome by the Romans. Visit ruins of King Herod's palace and synagogue,bath house,water cisterns and the breaching point. Leasure day at the Dead Sea. Leasure day at the Day Sea. 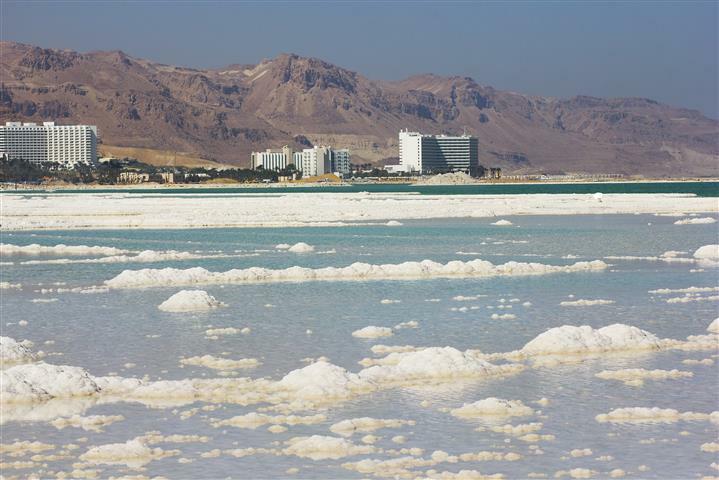 Dead Sea mineral cosmetic factory. 2 nights on Bed and Breakfast basis. Hotel single supplement:60$ per night. Bring bathing suit,towel,hat,sun protection and thongs. High Season Supplement per person : 70$ per night.